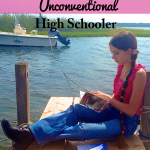 I read this article and wanted to share it with you: Using Sonlight 300 For Our Unconventional High Schooler https://blog.sonlight.com/unconventional-high-schooler.html. I’ve got an unconventional high schooler. 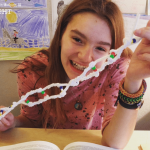 She’s our fifth homeschooled child, and her junior year is shaping up to look distinctly different from those of the four siblings who have already graduated before her. I love that response, because that particular son is not a reader and the course requirements really stretched him that year. The conversations we had about 20th century events and literature did, too. That’s exactly why I knew we needed to pull out the Sonlight 300 for Caroline. Our history studies had always been thorough, but a student’s understanding and capacity for analyzing world events begins to blossom and expand in the latter high school years. I wanted to have those same meaningful discussions with her that were the benchmark of the year her older brother had studied his way through World History with Sonlight 300. But Caroline is not her brother. 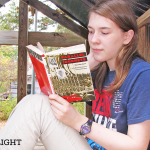 The demands on her time this year are very different than his had been; she needs a carefully edited approach that fits with her other studies, including a U.S. history class that she’ll be taking on campus. Somehow we’ve got to fit the important world events that Sonlight 300 is woven around into her other studies, and so we’re shaking things up a bit and using it as a solid skeleton for what we’re trying to accomplish. First of all, we’ll be slimming the list of literature selections because Caroline’s year is requiring a lot of her both academically and socially—symphony choir, worship band, and volunteer work. 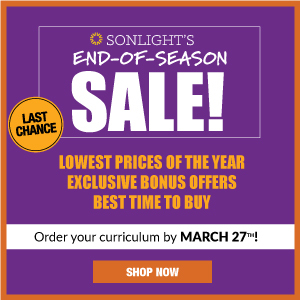 I know this sounds counterintuitive to some of you Sonlight diehards, because the curriculum really is expertly created and the literature chosen with an over-arching goal that allows each book to fit perfectly into the objectives outlined for each level. 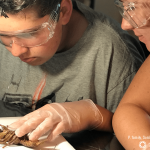 But this is how high school looks in our home: Students begin to specialize as they hone the strengths God has given them and stretch their wings into the community and culture. What that means is we effectively have the space and time for roughly one literature pick per month. In keeping with the scope of the century, I choose one title per decade. With 10 decades in a century, and nine months in a school year, I felt we could do this! I also wanted to include a benchmark John Steinbeck title, The Grapes of Wrath, because we live surrounded by Northern California farm land, and every California native needs to have Steinbeck under their literary belt. The themes are relevant to our culture here, and Caroline has spent much of her childhood exploring Steinbeck’s stomping grounds. 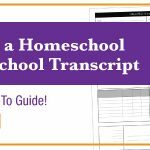 In the end, we have a list that is already piquing Caroline’s sometimes-hesitant interest, and although we just began our school year, she’s nearly done with the first book. I’ve received texts of outrage from her over shocking situations in the storyline and savored thoughtful moments of pause as she removes her earbuds to discuss something with me. There are a few other alternate titles that I’ve woven into the Sonlight 300 literature list. Where I’ve done so, I’ve made a note so that you might understand the reason for the substitution. 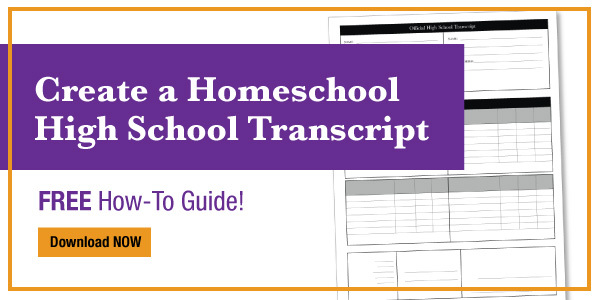 We love and trust the choices made by Sonlight creators and editors, but we also recognize that the beauty of homeschooling is in the capacity for developing exactly what the student ought to be studying at any given time. This means a departure from the student guide, but during those periods, I’ll be requiring slightly different work from her. I chose this title because Caroline had not read it before, and I think it is one of the most solid depictions of urban life and struggle at the turn of the last century. 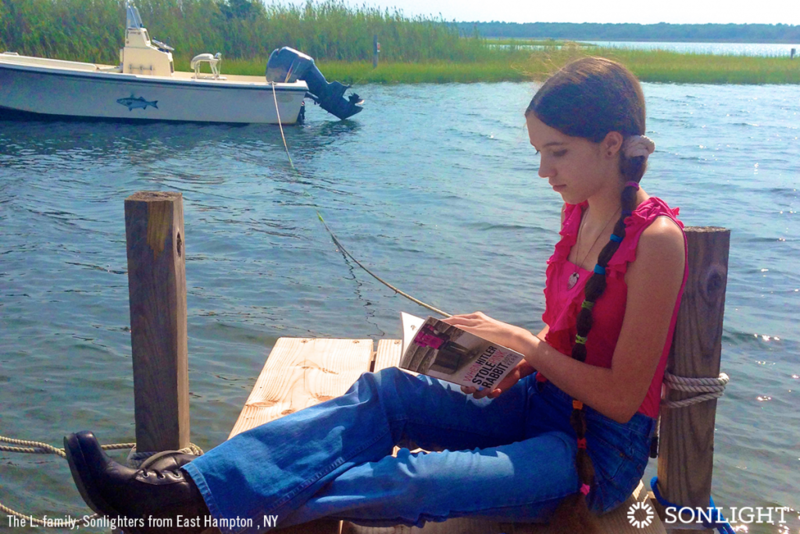 A Tree Grows in Brooklyn materializes on many prominent lifetime must-read literature lists. The Book Thief appeals to Caroline because it is a title she is familiar with since the movie premiered several years ago. I felt it was an excellent adjunct to Parallel Journeys, which we will discuss, as well. 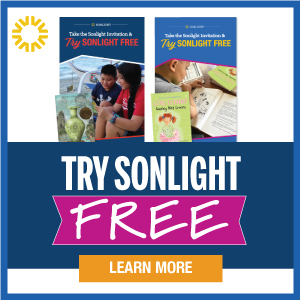 If you, too, are using Sonlight 300, you will well recognize that our list is absolutely abbreviated. I would be lying if I told you that wasn’t a difficult decision for me! I really had to pray through which titles we should keep this year, and I recognize that this only opens the door for us to expand this study and add titles for her next summer or even into her senior year. You can do that, too! As for concurrent history studies, Caroline will be using the Sonlight 300 History Guide and the text History of the Modern World. She has already read the majority of the Bible titles that are included for this level, and we are satisfied with how this side of her studies is being fulfilled via other arenas this year. 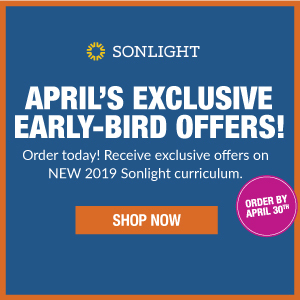 In short, we are huge fans of Sonlight 300 because the discussions each text and guide facilitate are excellent preparation for young adults emerging into a dark and desperate world. We want to have those discussions regularly! 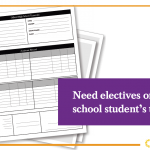 We also recognize the need to customize these remaining years for our high schoolers, and the layout of the student and parent guides allow us the freedom to do just that. 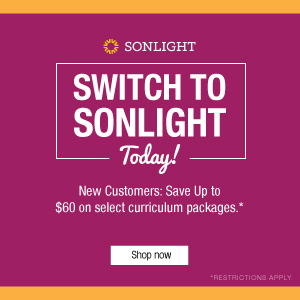 Sonlight offers a robust curriculum—the most thorough and thought-provoking high school courses available on the market today. Choose your high school course here.